The crisp, fall breeze brings cooler temps that ultimately force us to change up our skincare routine to address autumn's epidermal needs. My dry skin craves nothing but hydration and exfoliants during the cooler months. Regardless of your skincare concerns, I've rounded up the beauty products you absolutely need to add to your beauty cabinet for fall. 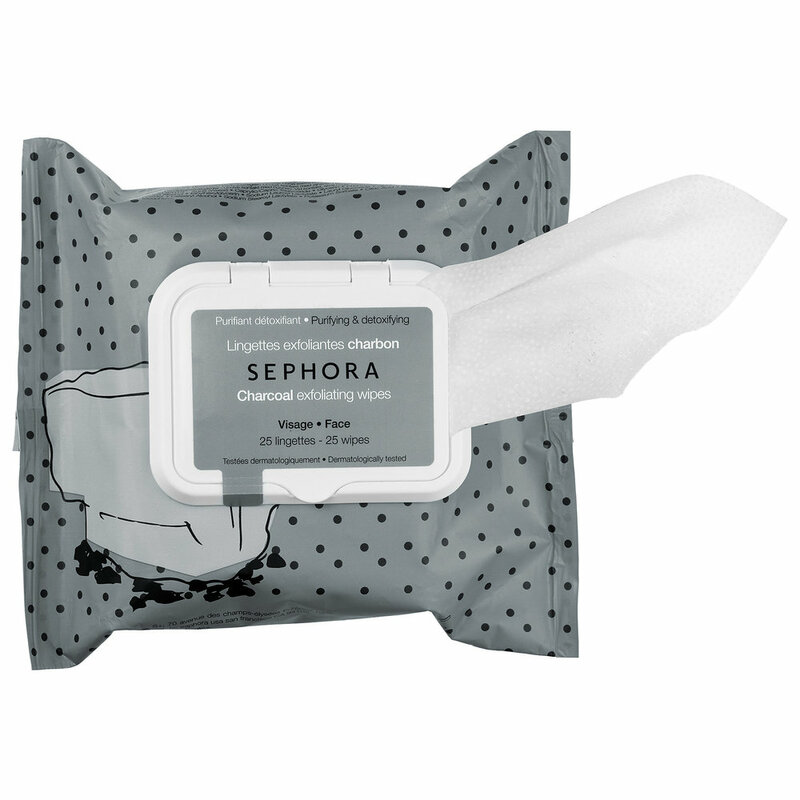 Cleansing and exfoliating wipes are the ideal solution for cleansing and removing makeup when you are on the go. Each is infused with a different active ingredient to address targeted skin concerns. The rinse-free cleansing wipes remove all types of face and eye makeup, as well as dirt, oil, and other impurities from the skin. The two-sided exfoliating wipes offer dual benefits. The exfoliating side gently eliminates impurities and dead skin cells thanks to integrated microbeads, while the other side cleanses and effectively removes all types of dirt and face makeup. This charcoal-based formula purifies and detoxifies with charcoal, which draws out impurities and pollutants like a magnet. Supercharged with phytonutrients and illuminating brighteners, Rodan + Fields 3D3P Molecular Matrix keeps delicate under-eye skin hydrated so eyes look more luminous—no matter how busy life gets. This formula is incredible and instantly leaves your eyes looking brighter, more radiant and well-rested. While it has been announced, it's not totally available for sale to Customers just yet...contact a Rodan + Fields Independent Consultant to make sure you're one of the first to get your hands on this incredibly innovative new product. I am beyond obsessed with this moisturizing elixir. It has completely changed my beauty routine and now I can't live without it. This beauty oil is an effective lightweight moisturizer with added anti-aging benefits (for all skin types). The pure 24k Gold flakes absorb right into your skin, leaving your skin glowing and naturally radiant. The base of this luxurious Elixir is Rosehip seed oil. Rosehip seed is made up of 77% fatty acids -- high in linoleic and linolenic acids, vitamin C, and vitamin A - all essential for skin health. Rosehips have been found to regenerate tissue and reduce the appearance of fine lines, hyperpigmentation, and stretch marks. My lips tend to get super dry during the cooler months. Farsali's Rose Gold Elixir can be used to hydrate lips before applying lipstick. The Rose Gold Elixir effectively keep lips from drying out, especially when using liquid/matte lipsticks (you all know I have an unhealthy addiction to matte lipsticks), without affecting the finish (Pro-tip: make sure to let the drops absorb into the lips before applying lipstick). 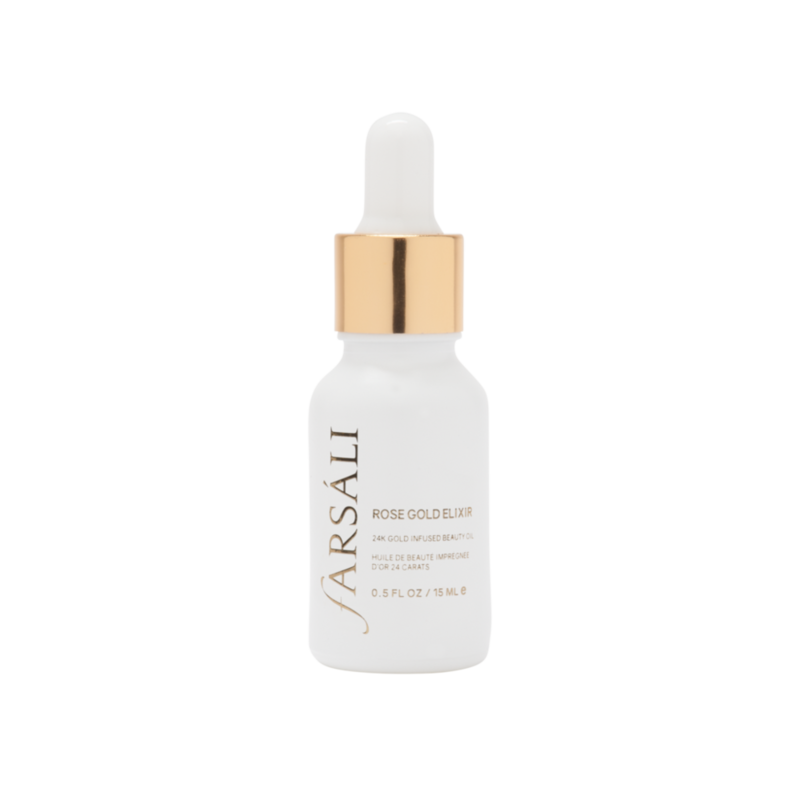 My absolute favorite use for Farsali's Elixir is to use 1-3 drops to mix with your favorite foundation to keep your skin hydrated and glowing. Prefer matte foundation? Even better! Mixing this with your elixir will keep you hydrated while achieving that matte finish you love. The Watermelon Glow Sleeping Mask is one of my favorite new products. I'm a total glutton for masks and this easy-to-use, no-mess mask is just perfect for getting that post-facial feeling without all the effort. 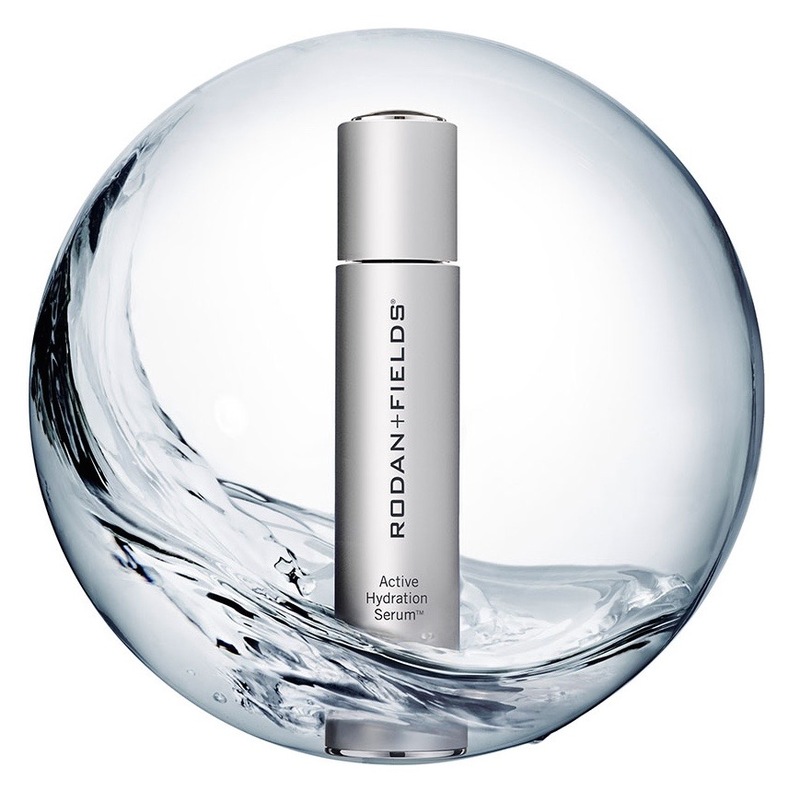 If I could only take one product with me to a deserted island, it'd absolutely be Rodan + Fields Active Hydration Serum. My dry, flaky skin soaks this serum up like nobody's business...leaving me with soft, hydrated and radiant skin. I can't get enough of this and have received compliments almost daily on my complexion since I began using it twice a day. There's nothing I love more than exfoliating. You might think the lustrous skin of your youth is out of reach; actually, it’s just below the surface, hidden by layers of dull and dead skin cells that build up over time. MicrodermMD is a professional-grade glow-getter designed to reveal fresh, radiant skin using a high tech combo of diamond exfoliation and gentle suction to buff away dead skin and promote cell turnover. In just 5 minutes, it reduces the appearance of wrinkles, dark spots, visible pores, and scarring while smoothing and softening your skin. Safe for all skin types including sensitive skin. They say summer bods are made in the Winter...so, it's no surprise I need to start getting serious about my workouts at the first signs of fall. Working in the health and beauty industry, fall and winter tend to be my busiest season in the office. That's why I love Yuni Beauty's products that make working out much easier. No time? No shower? No problem! With Yuni's new and improved body products, you can freshen up on-the-go. Their individually-wrapped, soft, waterless Shower Sheets instantly cleanse, refresh, and deodorize so you can squeeze a workout in even on the busiest of days. The Secret to Changing Your #Mood? Morning Mantras.